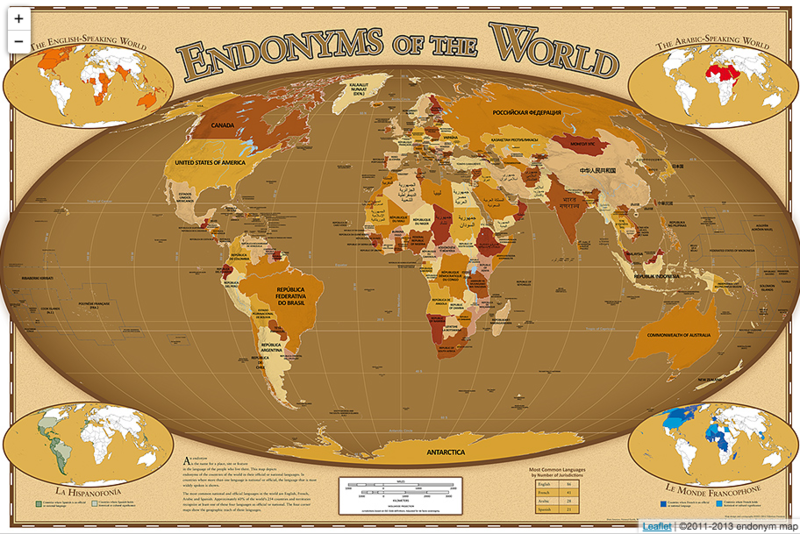 An endonym is the name of a country, region, or geographic area as it’s known by the people who live there. These names may legally designated by a government or just commonly used terms. 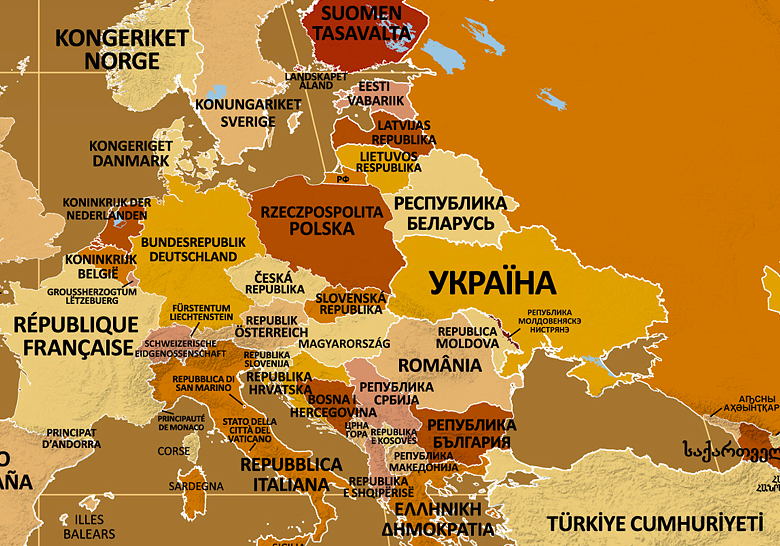 The clever endonym map of the world above is labeled in the script of the primary official language of the individual nation. 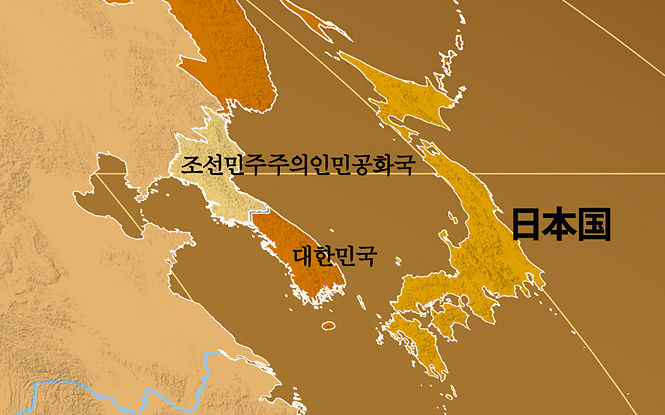 If you click here, you will find an easily zoomable version of the map. Or, check-out the website to discover more about endonyms. This entry was posted in Africa, Asia, Europe, Maps, Middle East, USA and tagged Cartography, language. Bookmark the permalink.